Struggling with your toddler waking at 5am? You’re not stuck with early mornings. 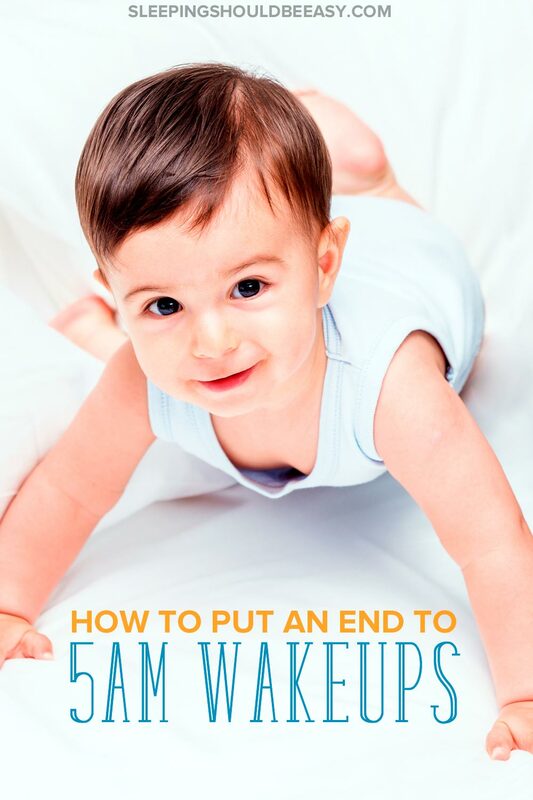 Learn effective ways to get your child to wake up later. I thought I was in the clear. My son had been sleeping through the night through infancy and toddlerhood, waking up like clockwork at 7am the next morning. But then the wake ups began to creep earlier and earlier. At first I didn’t think it was too bad. I figured I’d start his day earlier and adjust his nap. Except those few minutes kept stretching, and I couldn’t keep justifying waking up so early. The morning wake ups got to the point where they were cutting into my morning routine. I wasn’t able to wake up earlier than everyone else, enjoying the quiet morning. Soon his wake ups were so early even I was still asleep. There was no way I was going to let 5am be his new wake up time. I knew kids woke up early, but that early? Thankfully I found a few techniques to keep him in bed and sleep longer. Different ways to nip it in the bud and get him to wake up at his regular time, 7am. Once I applied these tips, the wake up times inched their way later in the morning and back to his normal time. And even if he happened to wake up a few minutes before 7am, he knew to stay in bed until I got him up. I hope you can apply these tips with your own toddler. Because you’re not stuck with 5am mornings. Your days can start when you determine them, not when your toddler wakes up ready for the day. As hard as it is to admit, your toddler waking at 5am may be normal if bedtime is at 6pm. While a 12-hour stretch is ideal, not all kids need that many hours at night (especially if they’re taking long naps, too). One simple way to handle your toddler waking up early all of a sudden is to adjust for a later bedtime. Push bedtime back in 15 minute increments so your toddler can sleep and wake up later. For instance, if bedtime is normally 6pm, stretch it to 6:15pm for a few nights until your toddler gets used to that. Then aim for a 6:30pm bedtime. Keep pushing it back until you reach the time you’d like him to go to bed. It’s tempting to allow your day to start when your toddler wakes up too early and won’t go back to sleep. He may fuss, wants milk, or otherwise calls for your attention. For any parent trying to go back to sleep, this is almost impossible. But be firm with your child’s wake up time as you would with his bedtime. You don’t have to start your day at 5am because he’s awake. Instead, teach him to wait and understand that wake up time doesn’t happen the minute he’s up. First, come with the right mindset, especially on your first few attempts. This means expecting your toddler will probably wake up at 5am, not hoping he’ll sleep in and feel disappointed when he doesn’t. Remain calm and focused, knowing you’re here to solve a problem that will get better. Then, at the first sign he’s awake, walk into his room and explain it’s not wake up time yet. Keep your tone subdued and your check-in short—30 seconds at most. Encourage him to go back to sleep until you say it’s wake up time. Re-tuck him in bed as you did the night before to signal you’re not here to get him up for the day. At this point, do make sure that everything is okay—that he hasn’t pooped in his diaper or isn’t feeling sick. But more than likely, he’s fussing and crying because he’s not used to not starting the day the minute he’s up. Then, if he’s still talking or crying 15 minutes later, go into his room and again explain that it’s not wake up time yet. And if he’s awake but quiet? Let him be. Not all kids can or want to go back to sleep, especially if there isn’t a lot of time left anyway. It’s fine for him to lie down quietly and wait for you to come get him up for the day. Figuring out your child’s sleep needs starts with taking a big picture look at his patterns. It’s easy to assume he should wake up much later considering how late he fell asleep the night before. But take a look at his sleep needs not only the previous nights but in general. For instance, while 12 hours of overnight sleep is ideal, some kids can get away with 11 or even 10 hours of sleep a night. 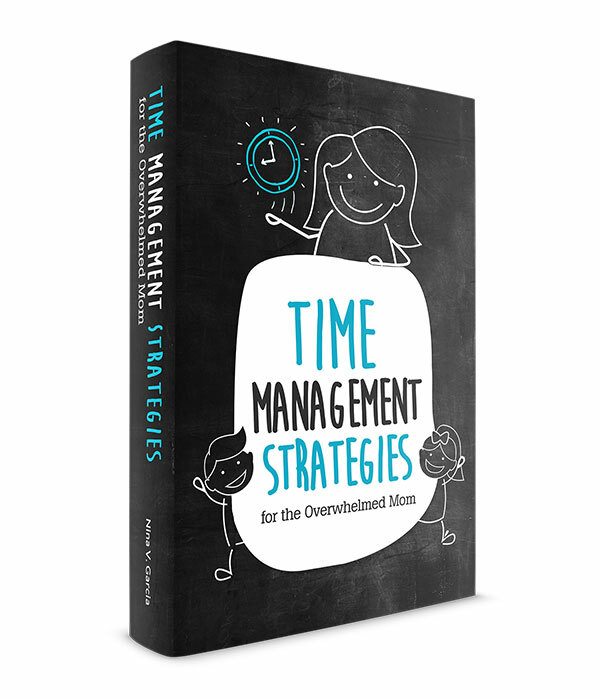 Your child may not need the full 12 hours and instead is ready to go with 10. Adjust his naps earlier in the day: This allows for a lengthier awake time before bedtime, which can lead to later mornings. 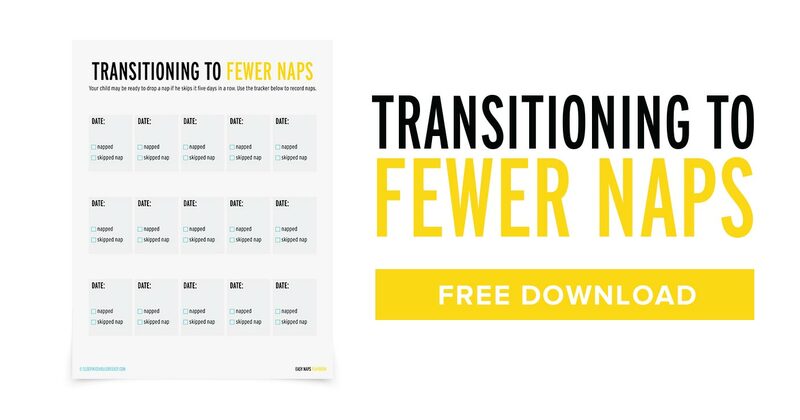 Transition to one less nap: Rather than taking two naps a day, your child can take one and reserve the rest of his sleep time for nights. 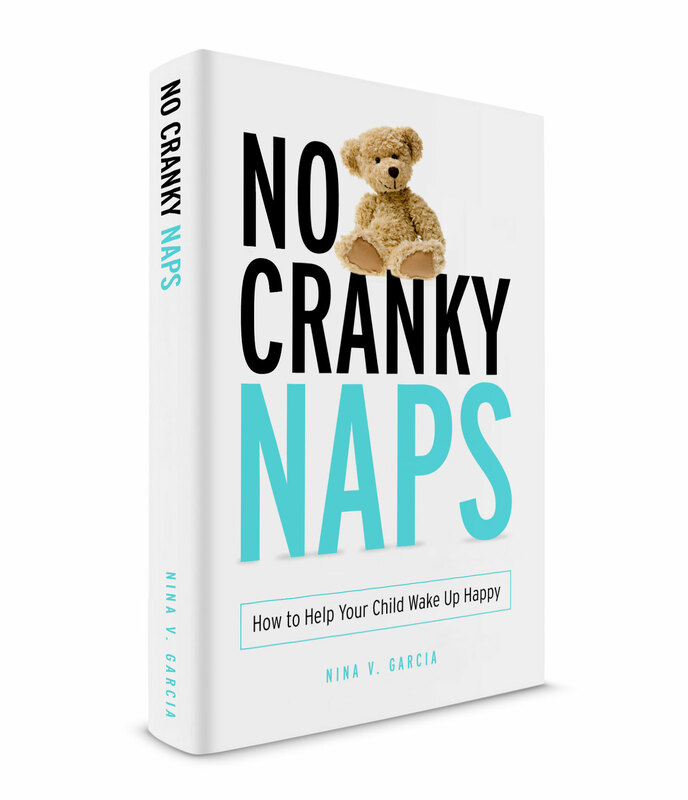 Wake him up after a certain point: If your child is taking long afternoon naps, wake him up after a certain time to make sure he can still sleep well at night. Early mornings can be rough in certain seasons when the sun is already up by 5am. 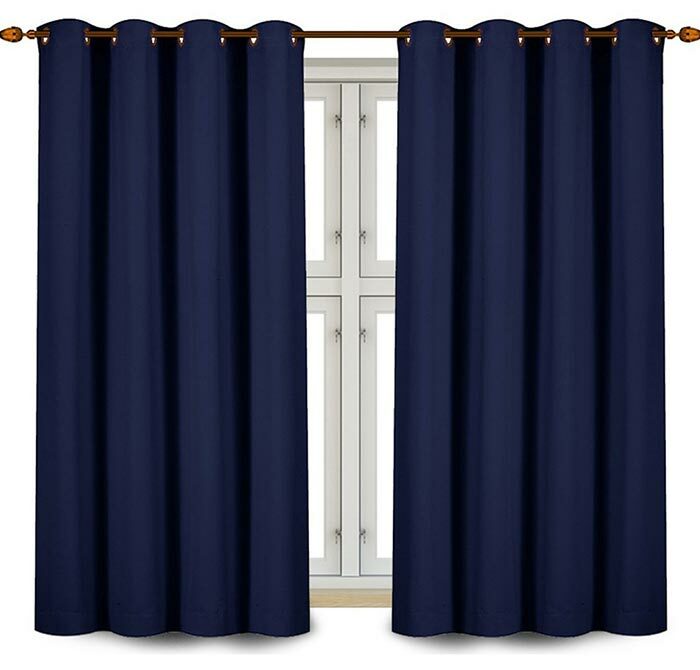 I recommend installing darkening curtains in your child’s room, the ones designed to keep sunlight out. While it won’t be pitch-dark as it was at nights, the curtains block out most of the sunlight and signal to your toddler that it’s still time to sleep. 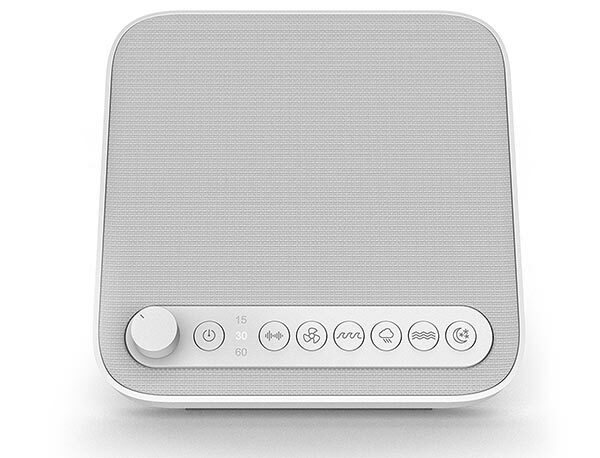 Another must-have is white noise. 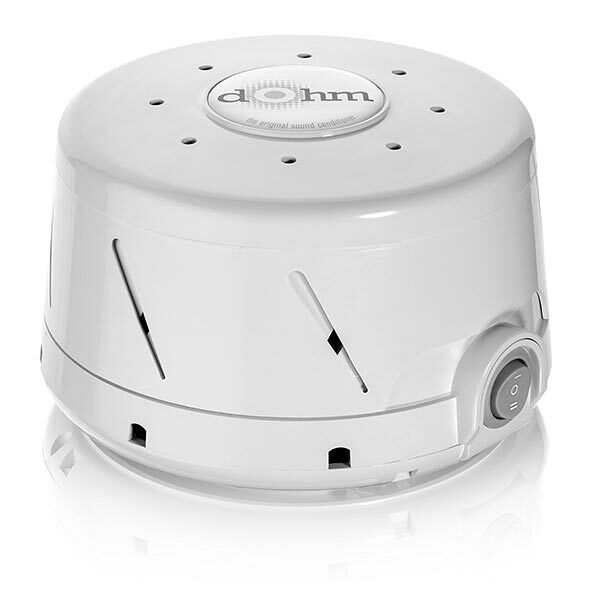 Besides being another signal to keep sleeping, white noise muffles sounds that can startle him awake, from sounds in his own room, to you getting ready in the kitchen to noise from the neighbors. You can find noise white in many places, from white noise machines like the ones below, to apps or even using a regular fan or heater. Kids thrive with routine and consistency, including when they sleep and wake up. The more consistent you are with wake ups, the more you’ll help build your toddler’s internal clock to accept a new wake up time. Think about daylight savings time and the changes your child has had to make to adjust. But through routine and sometimes by need, he had to make do with a new schedule. You can help his internal clock adjust to a later wake up time in a similar way. You’ll also want to focus on improving his naps. While it may not make sense, “sleep begets sleep.” The better quality your toddler’s sleep during the day, the better his nighttime sleep will be. Make sure he’s not overtired to the point that he can’t get a good night’s sleep. Many parents have recommended using a light up clock that signals to your child when it’s time to wake up and get out of bed. While your toddler may not be able to tell time, he can use the lights from the clock to know when it’s okay to get out of bed. Get more tips about creating a toddler schedule. Any sleep disruption is difficult for the entire family. Perhaps the worst feeling is assuming we’re stuck with this new way of sleep. We’re afraid this is how it’s always going to be and need to accept these new changes. But I’ve learned that we can change many of these disruptions. Some simply take time, as in the newborn stage. But others only need a bit of knowledge, consistency and helping your toddler find a new time to wake up. Start with figuring out how much sleep your toddler needs in the first place, then aim for 11-12 hours at night by fiddling with naps and bedtimes. Set a designated wake up time, checking in every 15 minutes should he wake up and fuss before then. Keep his room dark and with plenty of white noise to make the environment conducive to sleep. And finally, be consistent with your routine to help adjust his internal clock. With these five simple tweaks, you can have your mornings back once again—all with your toddler asleep, not awake, in bed. Did you like this article about how to handle a toddler waking at 5am? Share it on Pinterest and Facebook! What if the toddler absolutely, point blank refuses to stay in his room upon waking. He is in in a bed now so just gets out. He will scream, shout, while, run out of his room, stand screaming in our room, pull our bed clothes off the bed all in an attempt to either 1. Get in our bed 2. Go downstairs. So i’m not sure the check in is going to work…. He is able to not have a nap now in the day but this cycle of early waking means that he now can’t go a whole day without sleep as he is just too tired. However, this nap now often comes at 4/5pm. Which means bed time is 9/9.30pm which means waking early, which means he has to nap etc etc. II don’t know how to break this. He is active & I always make sure we have play time outside or the weather is bad, some activity that is physical. He has, on average 1.5 hours of screen time a day. Either on a tablet or tv. Never alone & I try to interact with him when it’s on. I am 33 weeks pregnant with number two as well, so I am feeling this lack of rest more than anything & getting very cranky & upset with him in the day. Oh Kate, I can only imagine how much harder the pregnancy is with your toddler behaving this way! Honestly when my toddler was opening the door, I placed those doorknob locks on the inside of his room so that he can’t open the door. I know other parents also put a baby gate by the door to keep them in the room. It seems odd to keep them in there, but I think of their room as their new “crib” where they need to stay until wake up time. See what happens too if you try to get him to nap earlier. If that doesn’t work, I’d try skipping the late nap altogether and simply having an early bedtime. Then, this might not seem related, but I would talk to him about the new baby and reassure him of any fears he might be having. Toddlers tend to act crazy, especially the more pregnant we look and the more anxious or excited we may act now that the baby is coming soon. He may be acting out because of deeper anxieties about what life will be like with the new baby, so it’s worth talking about with him as well. Oh Noemi I hope that she starts sleeping in the mornings once again! It might be that she’s reacting to the new toddler bed. Hopefully she passes this phase soon! My daughter is 21 months and has been waking at 5/5.30am for as long as I can remember. I’m doing EVERYTHING I have read online and nothing is working! Bed time is 7pm (asleep by 7.30) and nap is 11.45-2.00pm. She stays in her cot happily until 6am which I am grateful for but u struggle to get her to last until her day nap and she’s grumpy all morning. Her goes to bed fine at night without complain, is dressed warmly enough, pitch black room and a fan used as white noise (very quiet neighbourhood anyway) so no sound would be waking her. The one thing I haven’t tried is capping her day nap at an hour/1.5 hours and not letting her sleep two hours ??? I’ve tried making bed time later and it doesn’t seem to work either. Please any suggestions would be so appreciated! Hi Tara! Yes, see what a 1.5 nap would do, or moving her nap even earlier like 11-1pm (especially if she’s cranky in the mornings). Or if you do try to make her bedtime later (like 7:30/8), keep trying for several days instead of just one day of it not working. Sometimes it takes a while for us to adjust. It’s sort of like how we adjust to daylight savings time, and how it can take a few days before we start waking up comfortably at the new time. Good luck, mama! It can definitely be a challenge! What happens if you’ve tried all the tricks and your toddler still is waking up after MONTHS of trying? Our 17 month old goes to bed around 6:30-7. He wakes up between 4:30 and 5 pretty much every day since September. Yeah. September. He gets 1 nap at daycare at around noon that lasts 2- 2 1/2 hours. He goes to bed awake with no issues, talks to himself and we have low music and a star lamp we turn on for him. If he wakes up in the middle of the night we usually wait to see if he goes back to sleep on his own and if not we usually talk to him through his monitor and he goes back to sleep. We have a white noise machine and blackout blinds. Every. Morning. He wakes up between 4:30 and 5. We don’t go in. We talk to him through his monitor and tell him it’s not time to get up yet. We do this regularly. Rarely, he will fall back to sleep for 15-20 minutes but usually he cries until we get him up at 5:45. We have tried moving bedtime earlier. We have tried moving it later. We have tried letting him cry it out. Daddy has gone in his room. Nothing seems to work. I’m exhausted and I’m at my wits end. Any idea you have would be appreciated. I’m going to try buying one of those clocks next. We are struggling here lately. My two year old has been waking up at 5 and 5:30 forever. He was doing well for a while with the OK to Wake clock staying in bed until 6, but since he learned how to open his door we went backwards. He would show up in my room and scare me to death just standing there until I woke up. My husband works offshore, so our schedule is often a little out of whack when daddy is home. Do we just start from scratch telling him like we did before that it’s not time to get up yet? Like the separation anxiety for him is NUTS lately. I just am so tired, and I don’t want him to be over tired either. Help! I should add that we did put one of the door things on it so he can’t turn the knob and escape. Hi Rachael! Yes, I’d start from scratch, and I don’t think it’ll be as challenging as the first time. It’s likely because of the changes in your home that he’s been waking up early. Keep his room as dark as possible (darkening curtains help, or even temporarily taping black garbage bags over the window if need be). Also, check out this article on separation anxiety at night, where I also list a few more tips. I hope it helps Rachael! My baby has just turned 1. She has NEVER slept through the night and things just seem to be getting worse now! She wakes every 2 hours at night time. I’m exhausted. She only has one bottle of milk now at 5pm. She’s done this since 7 months so it’s not a new change. She eats dinner at 4pm as she goes to bed around 6pm because she’s tired. She has two naps one about 8.30-10am and then another about 1.30 to 2.30pm. Do you have any suggestions that might help her sleep better? She’s tired because she never has had a full night’s sleep but she just pushes past it and then is awake! She’s a happy baby and wakes from her naps happy and fine but by 6pm she is tired. She doesn’t fall straight to sleep, usually it takes toll 6.45 ish for her to fall asleep. So 7pm asleep and 5am wake up with waking every 2 hours at night… I’m exhausted!! Hi Leonie! Her naps do sound great, it’s just the fact that she wakes up every 2 hours at night. My guess is that she still hasn’t learn to fall asleep on her own, and requires you to do something, whether rocking her to sleep, patting her, shushing her, feeding, etc., in order to do so. Have you checked out my guide on self soothing? (https://sleepingshouldbeeasy.com/self-soothe/) I break down an exact process on how to teach her to self soothe so that you can simply lay her down awake, and she’ll fall asleep for 11-12 hours straight at night. Definitely check it out—parents have told me it’s so worth it! Have you checked with her pediatrician to see if there are underlying issues? Might be worth a check. But yes, perhaps she has grown used to this habit as a way to fall asleep. I have many times! All her bloods etc always come back normal but I can’t tell you the amount of times we’ve had to take her to the emergency at 2am because she won’t stop screaming! I’ve just given her the first lot of gripe water… Let the night begin!! Hey there! I came across this article when I was researching, you guessed it, early morning wakings. About the last 6 weeks my 15.5 month old has been waking between 4:30-5:15 about 75% of the time. I’ve tried just about everything to get him to sleep later but nothing has helped. Usually he will lay in there for a bit and jabber or play with his stuffed animals. But before too long he starts to get mad and then usually starts full on crying. If I try to go in and console him that usually makes him even madder. If I do take him out of his crib to cuddle sometimes he with lay on me but he usually won’t go back to sleep. But if we get up and get ready and head to daycare he falls asleep in the car so he’s obviously not getting enough sleep. His naps are all over the place at daycare usually he only naps about an hour. Sometimes more and sometimes less (they take a nap at noon). I’ll put him down as early as 6:30 if he doesn’t nap well and more like 7-7:30 if he naps 2 hours. A lot of times he falls asleep on the way home for like 10-15 min and that seems to mess with him falling asleep easily. He’s obviously tired when he gets up he just won’t go back to sleep and I have no idea what to do. I’m a single mom and it’s about to make me lose my mind! I should also note I’ve tried just not going in at all until an acceptable time to wake up and he is just screaming by that point. I hear ya, Ashley! It sounds like the drive home with that 10-15 minute catnap is what’s throwing him off. One trick is to offer him something to eat on the way home, even a cracker or two. Hopefully he’ll eat on the way home instead of falling asleep, and of course try to talk to him so he doesn’t fall asleep. I would also do periodic check-ins in the morning between the time he wakes up and the official wake up time. No need to pick him up or stay too long, but just enough so he knows it’s still sleep time until you signal it’s wake up time (like by opening the curtains, turning on the light, etc). Try to stay consistent with wake up time so he knows he can fall back asleep if he happens to wake up. And maybe encourage a comfort item he can hold on to to help him self soothe. Hope that helps Ashley! Hang in there, mama! Our 2yr old has been waking at 5 am with a poopy diaper most of his life, but would sleep through it about half the time. Now that we have introduced the potty, he wakes at this time daily and begs to go poop on the toilet. We take him poop, and he goes, but struggles to go back to sleep, and often cries for 20 mins, is quiet for about 30 mins and then cries out until we get him at around 6:30. He wakes our other 2 children up in this process, and we are all becoming very sleep-deprived. He goes to bed at 7 and naps from 12:30-2 or 2:30. Is it possible to change his poop schedule? He eats a well-rounded diet, and breastfeeds 3x a day, the last feed being right before bedtime. Hi Jessica! He’s definitely got his schedule down, for sure 🙂 I’d start by cutting out that bedtime feed and seeing how that goes. If after a few days and he’s still pooping at that time, see if you can move dinner earlier so that he has more time to digest and isn’t going to bed with a full stomach. And finally, see if he’s willing to sit on the potty at other times of the day, like before bath time or after dinner. I hope that helps! It’s 5:20 AM here and our 27 month old has been awake and crying for an hour already. He is usually asleep by 7:30 every night, but we are VERY lucky if he naps at all during the day, and most of the time only about 30 minutes. During the day, he eats well, gets plenty of playtime, and lots of love from family and friends. He has always been a terrible napper, and his great night sleep schedule has been the saving grace of it all, but now it seems to be deteriorating. He was waking at 7 AM, then the next day, 6:45, then 6:15, then 5:45, and this morning 4:30. Any tips for us would be greatly appreciated. Thank you! Hi Bri! I can totally relate to those early wake ups. I’d stay consistent with keeping his official wake up time the same. If he wakes up at 4:30, go into his room to make sure all is fine, but then remind him that it’s not yet time to wake up and leave the room. If he continues to cry, keep checking in every few minutes until it’s 7am. You want to make it clear that wake up time isn’t anytime earlier than 7am. 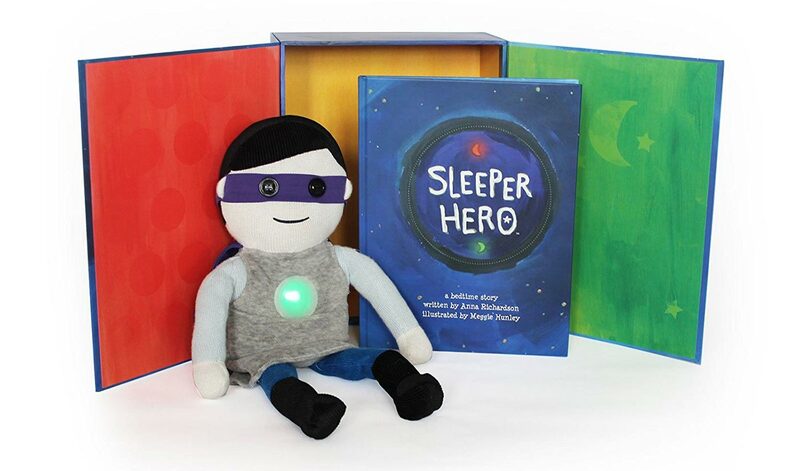 If you’re interested, I actually have a guide on teaching kids to self soothe and learn to keep sleeping in the morning: https://sleepingshouldbeeasy.com/self-soothe/ It’s geared toward babies but it does work just as well for toddlers, especially for those early morning wake ups 🙂 Definitely check it out if it resonates with you! I wonder if you have any help for me, my 34 month old has been waking at about 5 am for 3 months, pretty much ever since his baby brother was born. Previous to that he would wake never before 630. We have tried so many things and nothing seems to work! With the new baby we are losing our minds! He goes to bed with minimal difficulty around 745 and is usually asleep around 805. He naps every day from about 1230-230 there has been no change in his nap routine and that time is pretty consistent because that’s when his daycare does naps. He has white noise, we also got him one of the time to wake lights which helps him stay in bed but you can tell he’s tired because he is so much crankier then he used to be most days. We have tried putting him to bed as early as 715 and as late as 8 and neither really seems to help. I have tried bedtime snacks. He does commonly pee through his diaper but we have already sized up and doubled so I’m not sure how to help that. Any ideas? Hi Kelly! It’s definitely frustrating when nothing seems to work, and for three months (plus a newborn!). Two things I would try here, after hearing what you said. First, I’d try an even earlier bedtime to see if that would do the trick. I mean, REALLY early, like see what putting him to bed at 6:45pm or even 6:30pm does. Some parents find that a ridiculously early bedtime helps reset sleep regression. Then, a second suggestion I have which seems strange at first, is to talk to him about how he feels, especially about the new baby. I mention it because I don’t think it’s a coincidence he started doing this after the baby was born. He might be processing the changes and feelings he has through his sleep patterns. See what happens if you talk about the changes since the baby, reassure him that life won’t always feel so hectic, or try to have one-on-one time with him and make him feel involved. Fingers crossed that trying those two things can help. Sometimes it’s so much a trial and error kind of thing, and the fact that he’s still waking up doesn’t mean you’re not doing a good job, it just means there’s still a solution that’s out there (even if that means he simply outgrows it 🙂 ). Keep me posted on how it goes, Kelly! My little one is 17 months and we can’t get him to sleep past 5am. I am back at work now and the early mornings are making my day long and tough. When he wakes at 5am he literally starts crying immediately. If we go in to see him or stay away, the crying still escalates so much he starts coughing and spluttering. We also have a 5 year old who we don’t want to wake as he has school to go to. So there is only so long we can let the awful screaming occur! I haven’t tried periodic visits to the room from the time he wakes up as you have suggested to others so I guess I could try this. He is great at falling asleep by himself for his nap (12-2/2:30) and at bedtime 6:15/30. He rarely wakes in the night either. Any help, much appreciated. Hi Annie! I would try a later bedtime and see what happens after a few days of doing that. If he’s sleeping at 6:30am, he technically could be up for the day at 5:30am, which isn’t that far off from the 5am mark. See what happens if you try for a 7pm bedtime for a few nights. And yes, try the check ins to let him know that it isn’t time to wake up yet, and only get him up at the “official” wake up time. Let me know if that works! We have been doing the sleep training for about a week now and we sometimes get the good morning when he is chilled in his cot and the other times he just moans till I walk in and say it’s get up time, I’m thinking of introducing a clock that helps him understand wake up time, he’s 18 months so not sure if he will understand. My main question is how long do we keep doing this morning routine of going in every 15 mins as some mornings it feels like he’s never going to sleep in and should we just deal with it and start the morning? Hi Nicola! There’s a good chance that he only needs 11 hours of sleep, so that a 6am wake up time is actually fine for him. As far as whether you should start the day then or at 7 is totally up to you. Personally, one of my boys also wakes up earlier than his brothers and likely only needs 11 hours, but I still start out day at 7am. Sometimes he’ll sleep in, but usually he’ll just wait in bed. If you feel like 6:10 to 7am is too long of a stretch, then maybe “compromise” and start the day at 6:30 so that he doesn’t have to wait as long. And yes, a toddler alarm clock has worked really well for many parents, because even if they can’t tell time, kids know they can only get up when the alarm lights up a certain color. My 19mo has been happily awake anywhere from 4-6am for the past 2.5 months, including after DST. His bedtime is 730, he naps from 1230-230. I keep reading conflicting advice on waketime before bed and nap capping. I think he is low sleep needs but he is a nightmare until his nap so I know he needs it somewhere. I leave him be until 645 every morning. It is pitch black in there. I have tried a single reminder that it’s night time and everyone is still sleeping. I have tried an earlier bedtime which results in split nights. As do earlier naps. He has loud white noise, a lovey and sleeps very independently. I am at a loss for what to do and it breaks my heart when he has meltdowns in the morning. He is a different child after his nap.